To provide platform to express ideas and concerns. To disseminate knowledge about rights and laws related to womens. 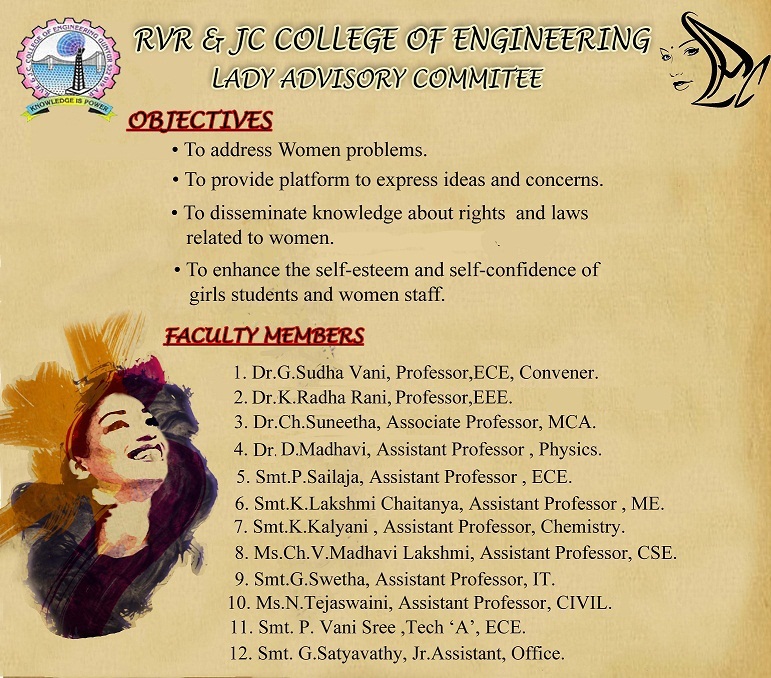 To enhance the self-esteem and self-confidence of girls students and women staff. Dr. G. Sudha Vani, Professor, ECE -- Convener. Smt. G. Satyavathy, Jr. Assistant, Office.